Together, depression and HIV infection are "strongly associated" with all-cause mortality in US veterans. 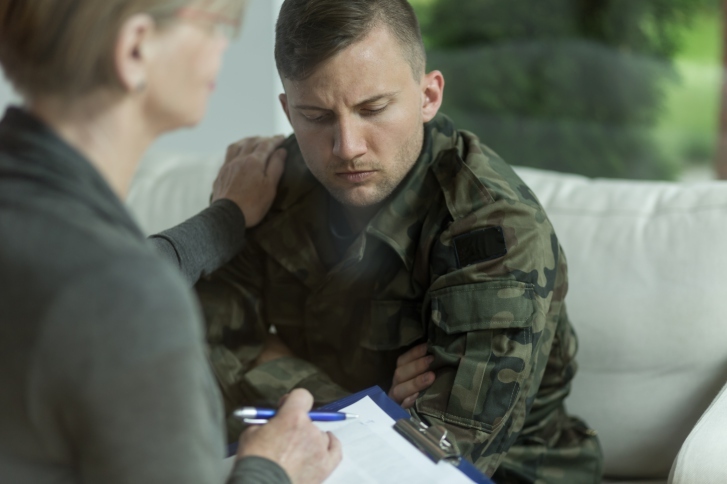 NEW ORLEANS —Together, depression and HIV infection are “strongly associated” with all-cause mortality in US veterans, results from one of the largest analyses to date to examine this association reported at IDWeek 2016. Depression is known to be associated with systemic inflammation and an increased frequency of cardiovascular events among HIV-infected patients, noted Samir K. Gupta, MD, MS, of the Department of Medicine/Infectious Diseases, Indiana University School of Medicine, in Indianapolis, IN, and coauthors. But the evidence base is unclear regarding the association between depression and mortality in HIV. Hypothesizing that both depression and HIV infection together predict all-cause mortality, the study authors analyzed data from the Veterans Aging Cohort Study (VACS), where baseline major depressive disorder (MDD) was identified by ICD-9 codes. They also examined a subset of patients participating in the VACS tissue repository cohort, where baseline depression was defined as a Patient Health Questionnaire (PHQ)-9 score ≥10. “Death was determined from the VHA vital status file, which uses inputs from the Social Security Administration death master file, the Beneficiary Identification and Records Locator Subsystem, and the VHA medical Statistical Analysis Systems inpatient datasets,” Dr Gupta noted. Included were patients free of cardiovascular disease at baseline who did not seroconvert to HIV during the study. Baseline visits were the first clinic visit on or after April 1, 2003, and the date of the blood draw, which occurred between August 31, 2005 through November 20, 2007. Both cohorts were followed through September 2012. The authors used multivariate models that controlled for patient demographics, body mass index (BMI), traditional cardiovascular risk factors, substance use, hepatitis C virus co-infection, reduced renal function, hemoglobin, alcohol abuse, schizophrenia, bipolar disease, and post-traumatic stress disorder to examine the risk for all-cause mortality by baseline depression and HIV-infection status. Median follow-up was 8.0 years in the VACS cohort and 6.1 years in the tissue repository cohort. In adjusted Cox models, the hazard ratios (HR; 95% CI; P-value) for mortality in the VACS cohort for the HIV-negative/MDD-positive, HIV-positive/MDD-negative, and HIV-positive/MDD-positive groups compared to the HIV-negative/MDD-negative group were, respectively, 1.0 (1.0, 1.1; P=0.17), 1.7 (1.6, 1.7; P<0.001), and 1.7 (1.5, 1.8; P<0.001). Adjusted covariates in the tissue repository cohort for the HIV-negative/MDD-positive, HIV-positive/MDD-negative, and HIV-positive/MDD-positive groups compared to the HIV-negative/MDD-negative group were, respectively, 1.4 (0.8, 2.5; P=0.22), 1.8 (1.2, 2.7; P<0.01), and 2.2 (1.4, 3.4; P<0.01). These results show that “in the VACS, HIV infection had a larger role than depression in predicting all-cause mortality. However, in the tissue repository cohort, depression appeared to have an additive role to HIV infection in predicting all-cause mortality, even in those with HIV viral loads <500c/mL at baseline” (HR 1.8; 95% CI, 1.0–3.1; P=0.04). Dr. Gupta reported consulting, research, and travel support from Gilead Sciences and Bristol-Myers Squibb.